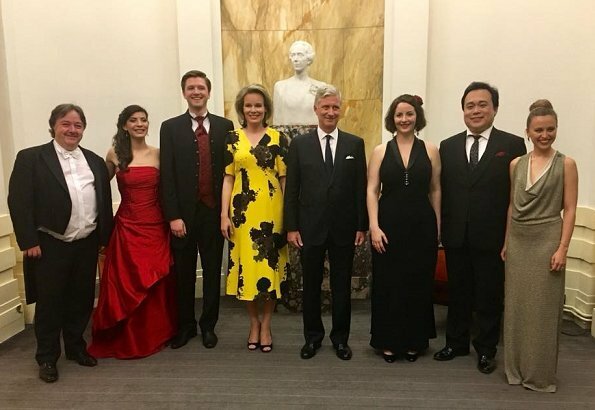 On June 4, 2018, King Philip of Belgium and Queen Mathilde of Belgium attended the closing concert of the Queen Elisabeth Singing Contest 2018 at the Brussels Centre for Fine Arts in Belgium. (Each year the Queen Elizabeth Competition is about a different discipline. This year it was the song contest. ; in 2019 it will be the violin, in 2020 the piano and in 2021 the cello). 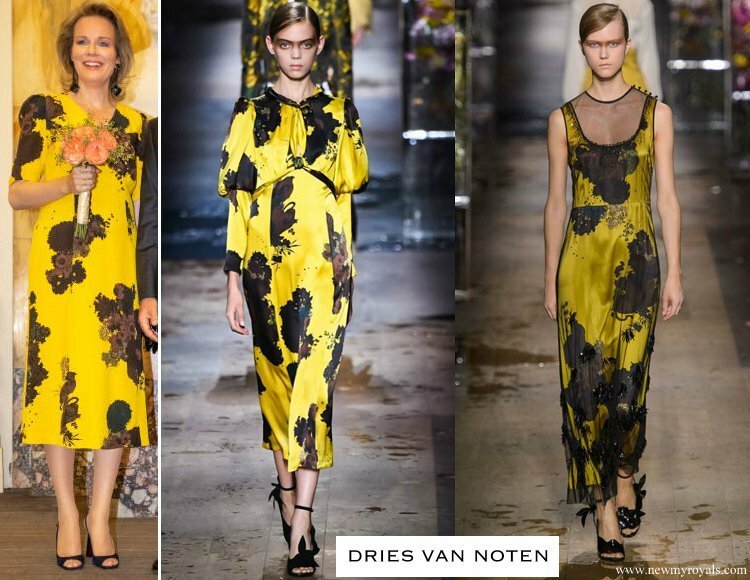 She looks gorgeous,the dress is fluid, perfect leght and love the yellow/black print. A siloutte that works for her, so different from her usual Nathan designs. Agree with your comment. It is bold but Mathilde has the stature to make it work. Beautiful Mathilde The dress fits her nicely, but personally I don't like the pattern and the colours. Completely agree. This dress fits her perfectly. Not those high waist Natan dresses she often wears. 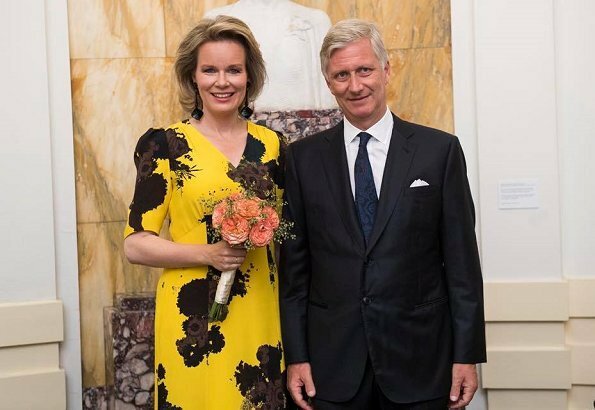 This yellow and gray-black dress looks very good on Mathilde she is tall she can carry it off with ease. Beautiful dress that fits her very well! 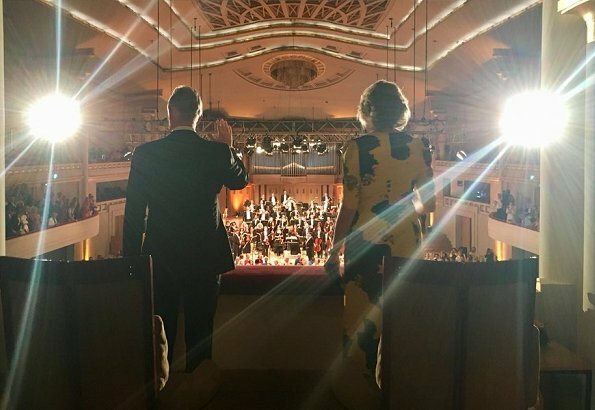 I am impressed with Mathilde’s consistent support of arts and music in particular. For me it stands out even compared to other royal families. Probably (it’s only a guess) she had a strong education in music, perhaps learned how to play an instrument or two, or perhaps she took singing lessons as a child. A bit like Rorschach blots but I like it - it makes a statement. I like the style and cut, makes a change from those Natan dresses with too high a waistline. 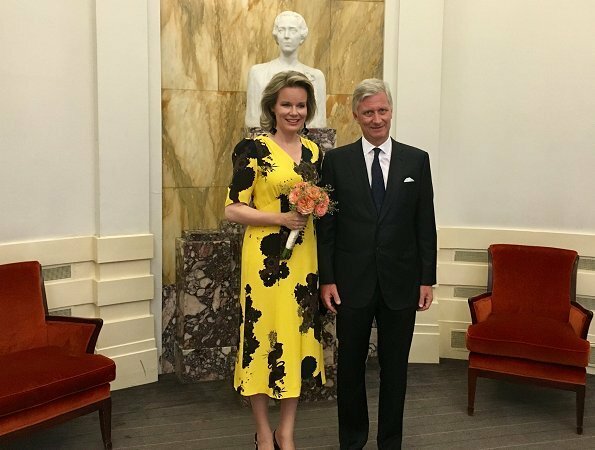 At last an interesting dress that fits Queen Mathilde nicely. Love the cut and style of the dress that actually fits! But would like to see it in a different pattern or solid color. YES,! Finally a dress below the knee, I hope she continues on this path and forgets about the high waisted & wrong hem lines. Lovely! 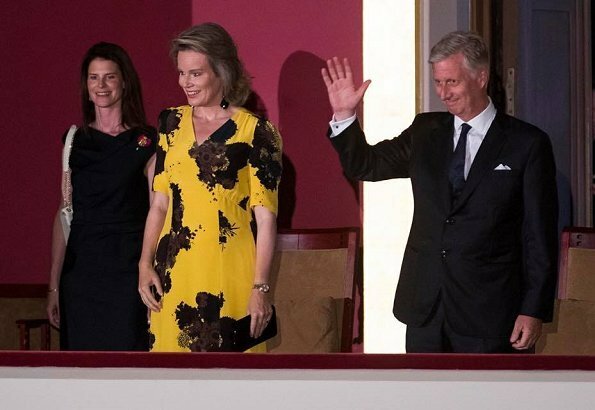 I can't say I love this dress, however, Mathilde looks younger in brighter, more vibrant colours.